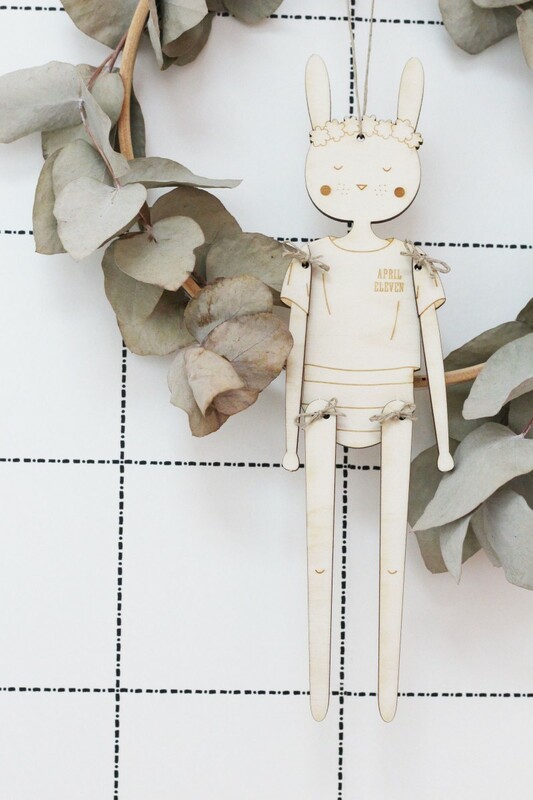 This pretty wooden puppet is a mount yourself, it is sold with a piece of cord. 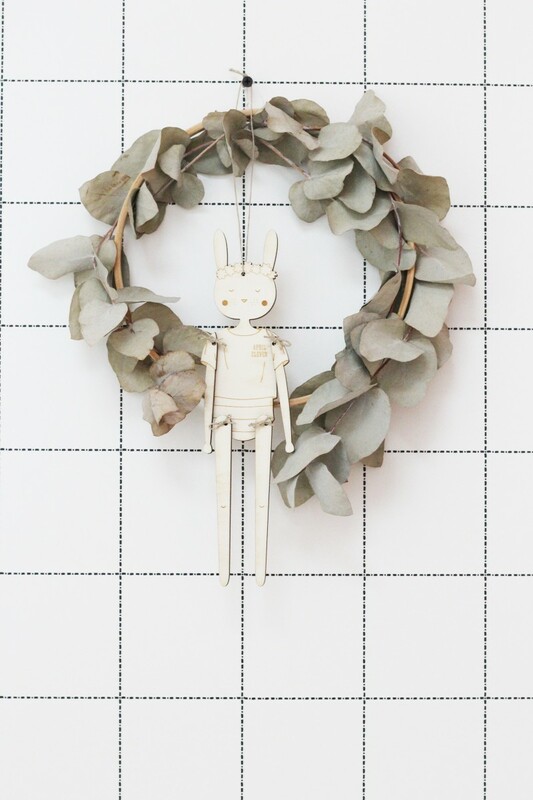 In natural poplar, it gives it a Scandinavian touch that is really the trend of the moment. You will also have fun with your child to paint it. 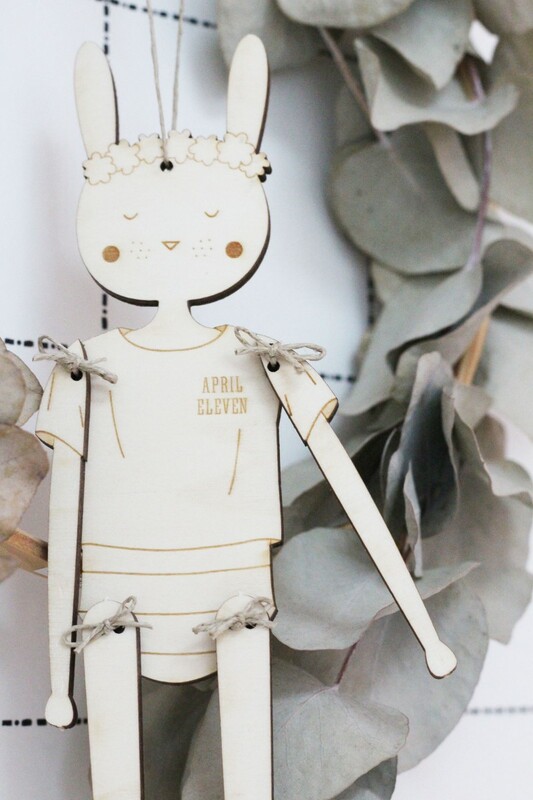 This little rabbit puppet is made of poplar. The drawing is a unique April Eleven model, which you certainly know about the posters. 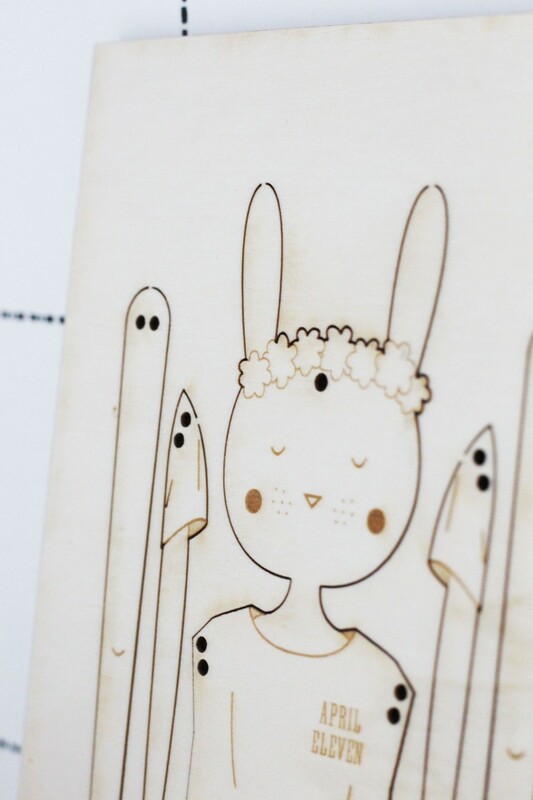 It was cut by a laser machine very powerful and accurate. We chose poplar as a material, the fineness and clarity of the wood gives it a soft look. 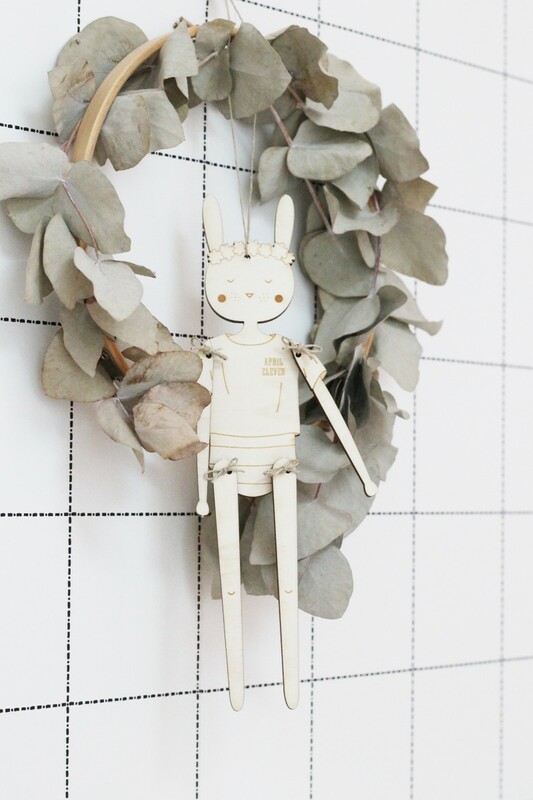 This pretty wooden puppet is a wall hanging. You can very well imagine a customization workshop with your children. The glitter and the colors will go very well. The lines are delicate and once suspended on your walls it will not fail to charm those who pay attention. 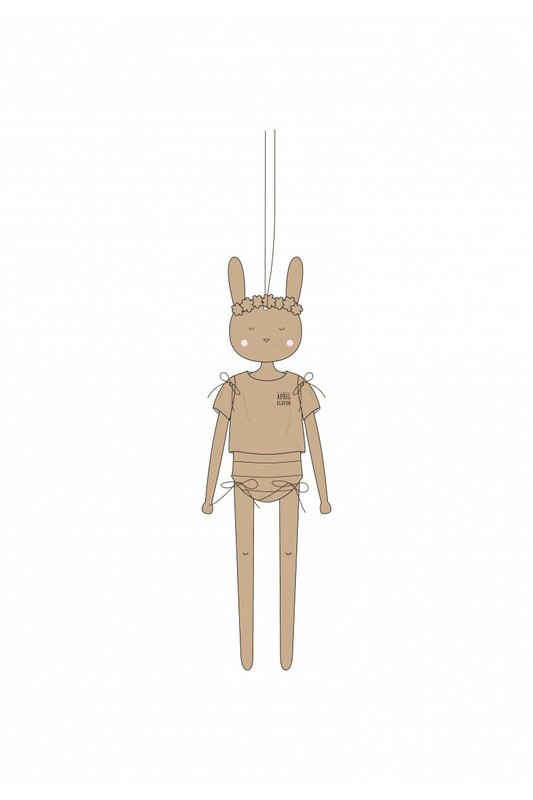 Our puppets are packaged in a pretty kraft envelope with Japanese closure. Inside you will find an explanatory note and a piece of cord for easy assembly. 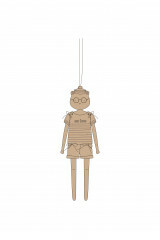 Detach each part of the body of the puppet, then associate them with the rope. Do not forget to tie each piece for a more beautiful effect. 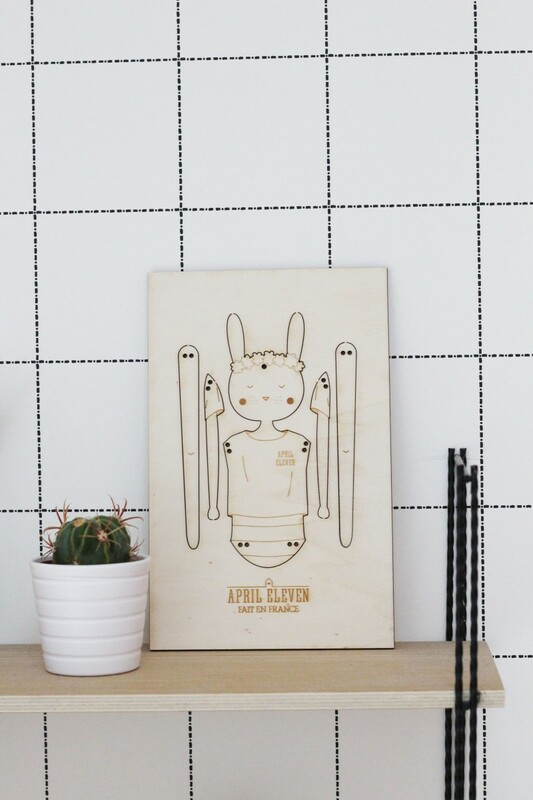 This wooden wall decoration object, is a creation of the brand April Eleven. Our products are carefully packaged in an individual kraft envelope. Whether for a gift or a personal purchase, our wooden decorative items will seduce you. A beautiful object of quality and durable. 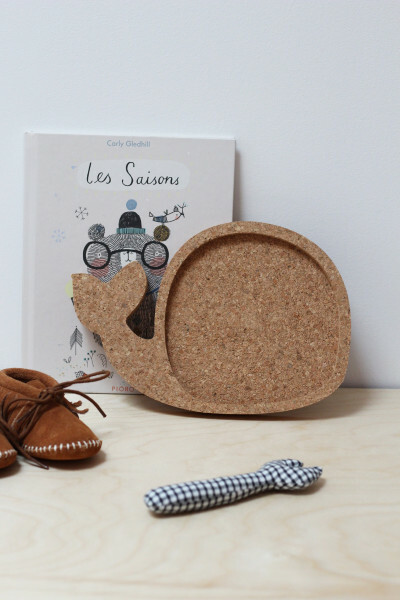 Our products are made in France, each object is sanded by hand, the smell of this noble and raw material will carry you away. The inspiration "Scandinavian design", the simple and minimalist forms are the thread of the April Eleven collections. 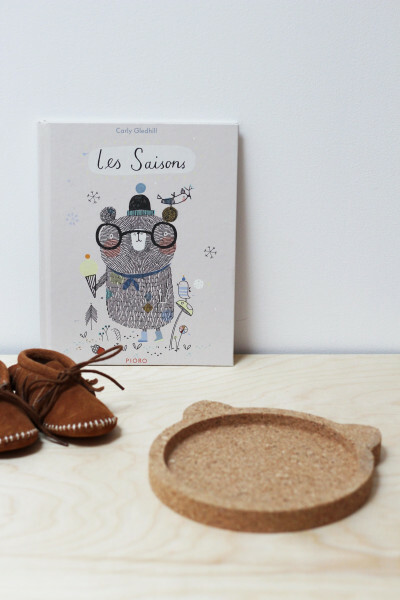 Always in the worry of the detail and the desire to satisfy you, we progress with the seasons with the same idea in mind, to produce quality products for the rooms of your children.